"Pro Touring Mustang's and Camaro's built the way they should be, The right way the first time"
Classic Recreations debuted a new division, CR Supercars, dedicated to handcrafting turn-key supercars that fuse classic styling from the golden age of American muscle cars with the latest high-tech engine and chassis components to create world-class sports cars that are totally bespoke and turn-key. Debuted at the 2014 SEMA Show by Centerforce Clutches and MMA fighter Josh “The Warmaster” Barnett, the Mustang Villain is the first model from the CR Supercars lineup. 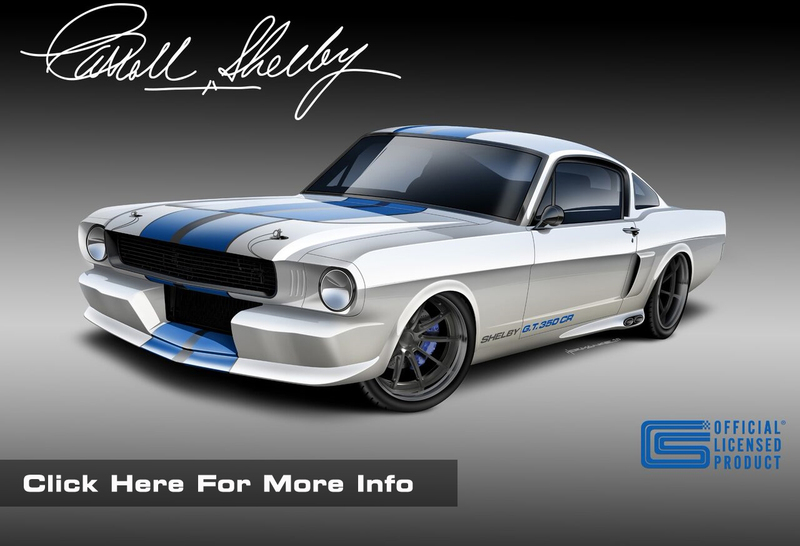 Based on an iconic design but totally reimagined for 2015, the Villain marks an exciting departure for Classic Recreations, a company known for its world-renowned Shelby continuation cars. Award-winning coachbuilder Classic Recreations have been modifying and custom fabricating high-performance vehicles for more than 10 years. Using that expertise, Classic Recreations founder Jason Engel created CR Supercars, a company with the mission of delivering a global, turnkey supercar/pro touring that combines the modern reliability and performance of today’s high performers and the character of classic American muscle design. What is you favorite color on a car? #classicrecreations #shelby #mustang #fordmustang #shelbygt500 #fastcars #details #luxury #photography #bespoke..
Hoppy Easter from Classic Recreations! Check out these detailed shots of our GT500. If you could own any of our cars, which would you choose? If you were getting a CR Boss 429, what color would you want it? #ClassicRecreations #Custom #Ford #Mustang #Shelby #BOSS429 #mustangboss429..
Name a better looking cockpit. We’ll wait. #ClassicRecreations #Ford #Mustang #Shelby #GT500CR #GT500 #Cobra #cockpit #5pointharness #gforce..